Do you forgo the clean shaven look because it agitates your rosacea? Always use tepid water. 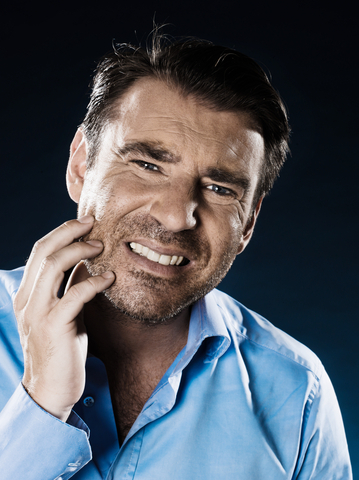 Hot water causes increased blood flow to the face, so always use a tepid water temperature. Ideally, shave in the shower, as this will allow your facial hair to soften, which can help minimize stress to your skin. Avoid shaving products with irritating ingredients, such as alcohol, camphor, clove, eucalyptus, menthol, mint, salycylic acid, sodium laurel sulfate, witch hazel or synthetic fragrance in them , as these can be troublesome for rosacea skin. Use a quality shaving blade, like the Bump Fighter Razor that retails for roughly $5.50 at Walmart, Walgreens, CVS and online. Although this razor was specifically developed to combat the skin irritation caused by shaving for African American men, many rosacea sufferers tell us it works for them too. Always clean your blade after shaving. Simply dip the blade in a little rubbing alcohol and make sure to store it in a dry place (meaning don’t put a blade cover on a dirty moist blade, as this can encourage bacteria growth). Make sure to shave in the direction that your hair grows. 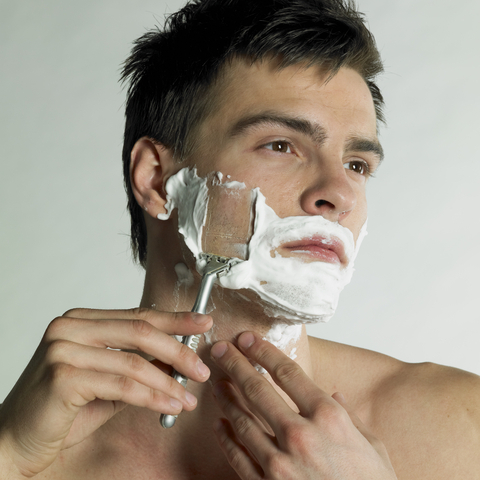 Shaving “against the grain” is a big irritation factor, often causing irritated skin and even worse, ingrown hairs. Prefer a electric shaver? 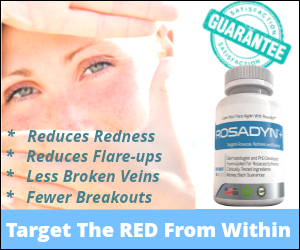 Be selective as most tend to have a tugging action and can irritate rosacea sensitive skin. Many rosacea sufferers have had a lot of luck with the Panasonic Linear Shaver ( Arc IV) used dry vs. wet not causing skin irritation. If your switching from a razor to electric shave, typically give your skin roughly two to three weeks to adapt to the changes in shaving methods. Have you had success shaving without agitating your rosacea? Share your rosacea shaving tips with our readers and fellow rosacea sufferers within our comment section. I recently started using Made from Earth’s Rosehip Hibiscus Serum based on my dermatologist’s recommendation. The serum is great and hydrates my skin. I have rosacea and my skin tends to be extremely dry, but since using these products, I find my skin is very well hydrated and does not irritate my rosacea.